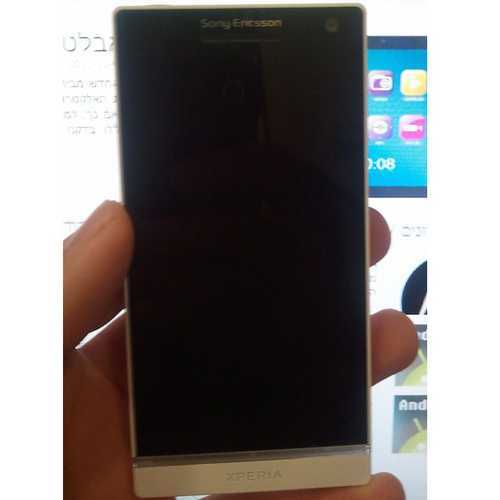 Blog Sony Ericsson Xperia Arc HD – potential Samsung Galaxy Nexus killer? All of the major Android smartphone players have come out with dual-core hardware – all except Sony Ericsson. Now, the company looks set to join the high end war with the impressive Sony Ericsson Xperia Arc HD, and it looks as if it might give the Samsung Galaxy Nexus an uncomfortable time. It’s no longer enough for a top end Android smartphone to have a large screen, it seems. They now have to have large high definition screens, and the Sony Ericsson Xperia Arc HD certainly looks like it will meet that criteria. Its own 4.3-inch screen will, according to Just Another Mobile Phone Blog (who provided the above picture), have a 720p resolution – that’s 1280 x 720 pixels, which is the same as the Samsung Galaxy Nexus. Of course, with the Xperia Arc HD’s display being slightly smaller, it’ll be sharper too (with aniPhone 4S-bothering 320ppi). Whether it can match the Ice Cream Sandwich device’s Super AMOLED display is another matter. Sony Ericsson has resisted going dual-core in 2011, unlike its HTC and Samsung rivals. Still, with fine phones like the Sony Ericsson Xperia Arc and Sony Ericsson Xperia Ray, it didn’t really matter. Going into 2012, though, it’s coming out with the big guns. The Sony Ericsson Xperia Arc HD will have a whopping 1.5GHz dual-core processor. That would appear to trump the Samsung Galaxy Nexus’s 1.2GHz dual-core processor – at least on paper. It’s pretty much obligatory for top-end Android phones to have 1GB of RAM nowadays, so the Sony Ericsson Xperia Arc HD is on the right tracks here. One are in which Sony Ericsson has really impressed us this year has been its smartphone cameras. The unit in the origina Sony Ericsson Xperia Arc is one of the finest on any smartphone, thanks in part to its advanced image sensor. That was an 8-megapixel snapper, and the company’s gone one step further with the Sony Ericsson Xperia Arc HD’s 12-megapixel unit. Could the Nokia N8 finally have met its match? One thing’s for sure – it certainly looks more impressive than the Samsung Galaxy Nexus’s 5-megapixel camera. If this proves to be true, it would be the one slightly disappointing aspect of the Sony Ericsson Xperia Arc HD’s otherwise impeccable spec sheet. Android 2.3.5 is a fine mobile OS – especially on Sony Ericsson hardware, where it comes with a number of neat tweaks and additions – but with Android 4.0 (Ice Cream Sandwich) just around the corner, we’d hope for that instead. This puts the Samsung Galaxy Nexus at an instant advantage, although we wouldn’t be surprised if Sony Ericsson either switches to ICS nearer release of rolls out an update as a matter of urgency.